Dr Takara is very kind and answers any and all questions you might have! Very real and honest, and I preferher to anyone else I’ve had. It’s always pleasant going in for an appointment! Dr Takara is very kind and answers any and all questions you might have! Very real and honest, and I prefer her to anyone else I’ve had. It’s always pleasant goingin for an appointment! I had scheduled an appointment for prescription contacts and was very satisfied overall. Everyone was kind and polite.I felt the care I received was high quality. I had several questions and the staff took time to answer them. Thank you! I had scheduled an appointment for prescription contacts and was very satisfied overall. Everyone was kind and polite. I felt the care I received was high quality. I had several questionsand the staff took time to answer them. Thank you! Dr. JoAnne Takara completed her undergraduate degree at Washington University in St. Louis, MO and received her Doctorate in Optometry degree at Indiana University School of Optometry. She completed an extended educational residency at the Tuscon VA Medical Center. 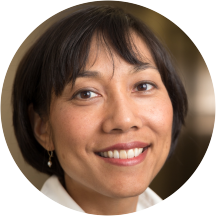 Along with her experience as a clinical sub-investigator and study coordinator for Ciba SEE-3 extended-wear contact lens study, Dr. Takara brings fifteen years of experience in primary care optometry, contact lens fitting and ocular disease management to our practice. I love Dr. Takara!! She is so sweet and knowledgeable. She always takes the time to answer my questions. Appreciate the great service! My exam was thorough and informative. My concerns and questions were answered with care and concern. Great optometrist! Very knowledgeable and helpful in making eye health decisions. Really enjoyed interacting with the staff as well. Shout-out to Bob! The office was very busy. The Doctor did not introduce herself when coming into the exam room. Everything felt rather rushed and everyone seemed a bit stressed. The receptionist were very welcoming and professional. I'd made an error regarding my insurance and they were by far the most reassuring ladies I have ever met and helpful in getting the correct information. Joanne Takara, OD, was also the same.Very sweet and reassuring that I will be receiving the eye care needed. This was my first visit but it will NOT be my last. The visit went very well. I received a quick diagnosis and a reasonable treatment option for my condition. Efficient, informative, and the staff was extremely friendly and professional. She was very friendly! She listened to my concerns and discussed options with me. She was great! Dr. Tamara was very thorough in her exam for both myself and my son. She was also great at explaining what she was doing as she completed an exam for my 8 year old.